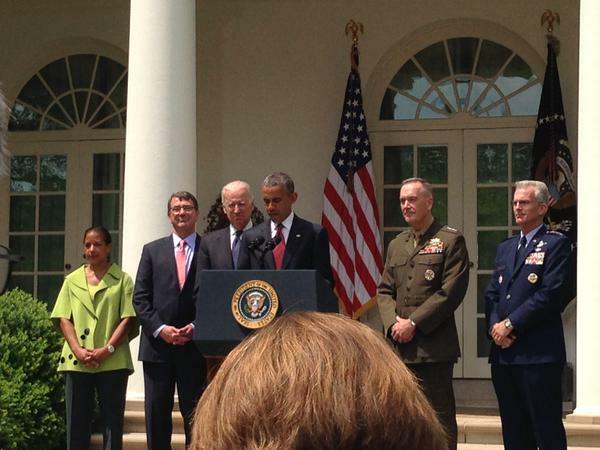 Washington, D.C. (May 5, 2015) – Today, President Obama announced Marine Commandant Gen. Joseph Dunford Jr. as his nominee for Chairman of the Joint Chiefs of Staff to succeed Gen. Martin Dempsey, who has served four years as chairman. Iraq and Afghanistan Veterans of America (IAVA), the leading post-9/11 veteran empowerment organization (VEO) with the most diverse and rapidly growing membership in America, welcomed the nomination. IAVA staff member Elizabeth Welke was at the White House today for the announcement at the invitation of the President. Welke, who previously worked on Capitol Hill, is the wife of a U.S. Marine Corps veteran who served in Operation Iraqi Freedom from 2005-2006. Gen. Demsey has served in uniform for more than 40 years, where he has proven to be a staunch advocate for both active-duty service members, veterans and their families. IAVA urges the Senate to quickly confirm Gen. Dunford’s nomination during this critical time. As tensions remain high in the Middle East, our country must remember to care for the veterans we are still welcoming home. IAVA looks forward to our continued partnership with the Pentagon on critical issues such as combating suicide and improving access to quality mental health care. 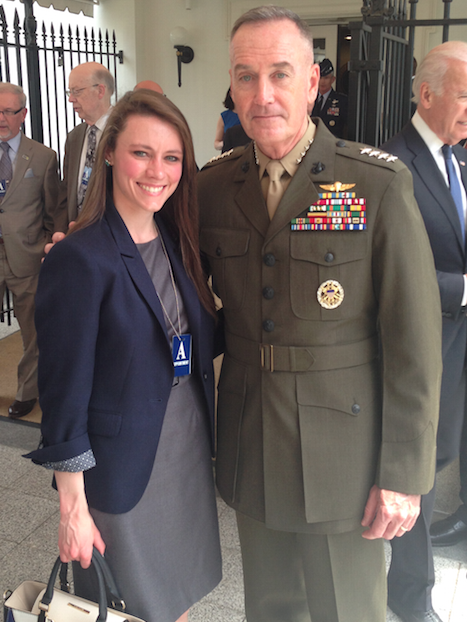 We hope Gen. Dunford will continue to engage the veteran community with the same drive and passion as his predecessor.